Among its many distinctions, Golden Smog is the only band I know whose name is a take-off of an obscure character from The Flintstones that was itself a parody (the Flintstones character the Golden Fog was based on Mel "The Velvet Fog" Torme). It is also, technically speaking, an alt-country-rock, or Americana, or whatever “supergroup.” Of course, being the iconoclasts that they are, the Smog’s own members immediately reject this label. What the Smog is and always has been is a group of friends from Minneapolis who like to take a break from their other bands to play and record together whenever the mood strikes them and the timing is right. Think of them as the Justice League of Americana, just waiting to get the call. 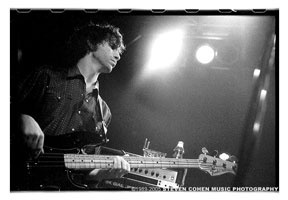 Marc Perlman, bassist for both the Jayhawks and Golden Smog, as well as a guitarist and songwriter in his own right, was kind enough to chat with us late last Friday about the new Smog collection, the joys of playing in a band that’s all about comradery, and future prospects for both the Smog and the group he’s been a part of since 1985, the Jayhawks. Golden Smog has had amazing staying power for a band that just kind of fell together onstage one night. Would you do us a favor and retell the story of how the Smog came to be? You want my version, Danny’s version or Gary’s version? You’re the one at the mike today, so I think it should be your version! Danny and Kraig and Gary were doing these three-piece acoustic guitar cover gigs at local bars, and at some point they decided they wanted to do one that was electric. I think I was sitting next to Danny at the time he came up with the idea, so I became the first choice to play bass in the electric version. The original drummer was supposed to be Dave Pirner from Soul Asylum, who was also my roommate at the time, but Pirner backed out the day of our first practice for some reason. I think maybe he had ear problems or something. And we told him, alright, fine, but you’re going to have to find a replacement, and he was a little confused -- he thought we said “You have to find the Replacements” and so he called up Chris Mars and asked if he could fill in. And that’s how that original lineup happened. [Laughter] If Pirner hears me tell the story that way, he’ll kill me, but more or less, that’s what happened, that’s sort of the genesis of the band as a full recording and performing group. Over the past 20 years a lot of people in the business have developed side projects in addition to their main band. What’s unusual about Golden Smog is that you guys keep coming back for more. Regardless of what your other bands might be up to, you keep finding reasons to make more music together. That speaks of a bond that goes beyond just getting together for a few laughs. Well, we have been friends for a real long time, back before we were playing outside of local clubs. So there is that bond, that personal bond, and there’s also a musical bond that we figured out was there right away when we started recording that first EP of covers [1992’s On Golden Smog]. The sound was unique, it wasn’t just a generic cover-band sound, it was a really cool sound that happened when you put four fairly disparate musicians together. So that’s why we keep doing it. As long as there are songs and somebody’s willing to put out a record, I don’t think we’ll ever stop doing it. Do you feel like at this point the band’s really graduated from being a side project to being a full-fledged band of its own? It’s a tough call. As far as the amount of time we have to put into it, I think it’s always going to be secondary to whatever, for instance, Gary considers to be his primary career at the time, whether that’s songwriting or recording as a solo artist. The same with Dan with Soul Asylum and whatever other projects he has going on in or outside of music. Put it this way, I don’t think it’ll ever become bigger than the bands we are each primarily in. Though I could be wrong. It’d be cool if I was wrong! Well, it seems to have a pretty strong following among fans of the bands that each of you guys come from. It’s interesting you brought that up, because I never really thought about that before. I guess it’s possible that all-elusive hit could come out of Golden Smog and we’d be spending more time with it, and I don’t think anybody would really mind. A couple of my favorite tracks on Another Fine Day are two you had a hand in putting together -- “Corvette” and “Cure For This.” What can you tell me about those two cuts and how they came about? The story behind “Corvette” is kind of the story of how most Smog records come about and that’s that something happens that causes us to get together, be it a show that we’re offered that we all want to do, or a one-off song or something like that. In this case, we were offered the chance to write a song for a Corvette commercial that was going to be shown during the Olympics. I think Guy Ritchie was directing. We were all in town and got together and wrote the song, tracked it, and tracked the 45-second version of it. Of course it didn’t get used, but it gave us the idea that maybe we should make another record. “Cure For This” was a song that I’d had for a long time and it was going to be the song that I contributed to the Smog record and luckily enough the wife of the producer happens to be this amazing singer, so that was just fortuitous to get Muni’s voice on that song because I think it makes the song. 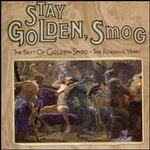 The new Rhino collection [Stay Golden, Smog] collects songs from the first two Smog albums [Down By The Old Mainstream and Weird Tales]. What are your favorite memories about making those two records? The vibe of making a Smog record is very relaxing, very open. We’re not the crazy rock and roll types where we do wacky stuff in the studio. But compared to other recording experiences I’ve had, it’s much more cathartic with those records. I think with Weird Tales, the ability to record at Ardent with Jody Stephens was the highlight of that record. Being able to record with Jody was something I will always remember from my career, being a huge Big Star fan and a huge fan of his drumming. Yeah, it’s kind of amazing you guys got the drummers from the Replacements and then Big Star to play on your records – those are monumental bands. That’s true, and it makes me wonder how that happened. It’s really kind of a compliment to the group that those guys would be willing to play with us. On the new collection, any personal favorite tracks? 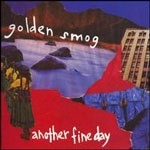 The song I always associate Golden Smog with is “Until You Came Along,” and there’s two versions of it on the reissue. That song for me -- and I think this is true for a lot of Smog fans -- when I hear it, I remember what the shows are like. It reminds you of what it was like to be there live. That was always one of my favorites. With an album and an EP and now this new collection out, it’s been a productive three years for Golden Smog. Do you guys have a plan, is there a next step or is it just whatever happens to bring you guys together again? The latter -- I think that’s kind of how’s it’s always been with us, mostly for scheduling reasons. Somebody will make a call and say hey, you want to do this? And we’ll all look at our calendars, and if the calendar is open, we’ll probably all jump on it. As far as doing any shows for this record, I’m hoping that can happen. I haven’t heard anything, but I’m hoping we can perform again because it’s a fun group to play with. Do you think Jeff Tweedy [who was too busy with Wilco to participate in the Smog's recent EP] would participate, either in the shows or in future recording? I’ve got a feeling Jeff’s going to call you before he calls me! In the closing stretch here, I wanted to talk a little bit about that other band of yours. 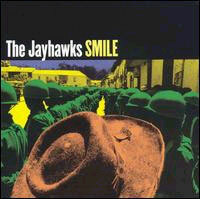 I’m pretty sure I’m in the minority here, but I actually think the best album the Jayhawks ever put out was Smile. I just think it has great range and songs and melodies and arrangements. How do you feel about that album personally, and how did you feel it was received by Jayhawks fans? The only way I would really know how it was received by Jayhawks fans would be if I went online and read what they wrote on message boards and such, and I try to avoid doing that. I did it some years ago and it just kind of weirded me out -- I felt like I was watching myself naked in the bathroom from outside or something. So I quit doing that. I didn’t notice anything live, that anybody had any issues with it. The record has some beautiful, folky songs on it. Absolutely. I saw you guys on that tour at the Fillmore in San Francisco and it was a great show. That was a great tour. And maybe, you know, some people don’t like Sound Of Lies because, you know, it didn’t sound like Hollywood Town Hall. Yeah, and that’s what I liked about the Jayhawks, was that we always tried to do something different because otherwise we’d be bored with ourselves. Which leads to the final, inevitable question – do you think the Jayhawks will return in some form somewhere down the road? I think so. We actually did a one-off show in Northern Spain a couple of weeks ago. If you go online you can find some clips already up on YouTube. It was a festival in Vitoria, Spain called the Azkena Festival that we’ve done before that’s great. 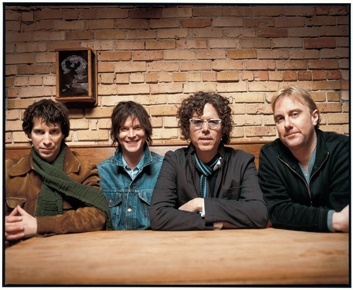 They’ve got great people running it and huge crowds and they asked if Mark [Jayhawks co-founder Mark Olson, who left the band in 1995], Gary and I would want to put it back together for a show and we were like “Yeah!” We did it as a one-off and had a great time playing together, so who knows. I don’t think it’ll ever be like it was, but I think there’s a chance you may see the old Jayhawks again.